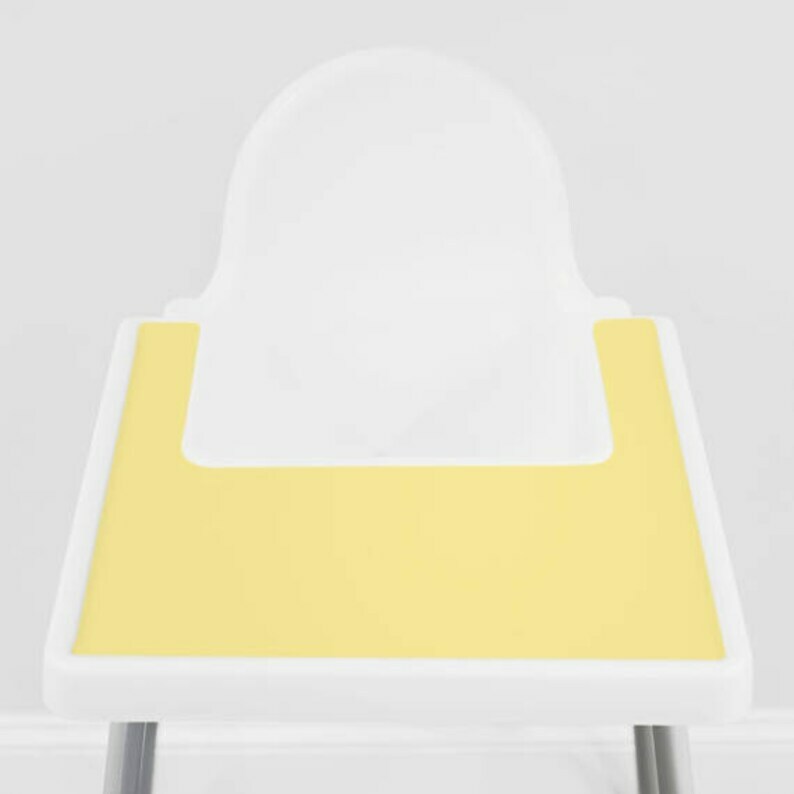 We love our IKEA Antilop highchair, but the one flaw is how hard it is to take off that tray! This FDA-grade silicone placemat fits perfectly inside the tray and makes clean up a breeze. Great for eating or craft time activities like painting, coloring and playdoh. Available in a variety of colors! Check the Silicone Placemats tab to see more. And don't forget to mix and match with your favorite cushion covers! Love this. Cheap, easy and simple! We accept credit card, debit card, and PayPal payments through Etsy. Please make sure your listed address is correct for shipping. We are happy to provide a refund for unused cushion covers or silicone placemats in their original condition/packaging. Shipping is not refunded. Please contact us within 7 days upon receiving your order to initiate the return or exchange process. If there is a problem with your items, send us a message with a picture of the damaged item. If an exchange is needed, we will send you the new item after the damaged item is returned to us. Canvas art is not available for return. All sales are final. Even if you catch an error after approving the design, I cannot refund the canvas. Please review your proofs carefully. We use USPS to ship; all packages will include tracking. If your package is lost, a store credit will be issued to you after 45 days showing no movement on its USPS tracking. Orders marked as delivered cannot be credited. We love our international customers! Please keep in mind that we are not responsible for customs fees. They are the responsibility of the buyer. We do not have control over your package once it leaves our hands and can not assist with any customs disputes. Machine wash in cold water on gentle cycle setting. Avoid harsh spot-scrubbing, and use a phosphate-free detergent for longer color life. Tumble dry on a low temperature or permanent press setting. How do I clean my silicone placemat? FDA grade silicone is highly resistant to staining, but some things should be wiped fairly soon to avoid staining (like carrots, tomato sauce, red juice, pen ink, etc). To clean, rinse with warm soapy water or place in the top rack of your dishwasher. I like to put the placemat back on the tray while it's still a little wet then let it dry on there. This trick gives it a little extra stick! What does the Add-On "Cover + Cushion" mean? IKEA sells an inflatable cushion called the KLÄMMIG (previously called the PYTTIG) that fits in the Antilop and Blames highchairs. If you already have a cushion, there's no need to get a new one. But if you don't already have a cushion, we make the same inflatable cushion that you can purchase as a $5 add-on. If you select the "Cover Only" option, you will receive the cover but no cushion insert. What is Kona Ultra Cotton? We use a high quality fabric called Kona Ultra Cotton, which is a soft, heavier weight cotton with improved wash durability. Our fabric is also designed by indie artists who earn commission from every sale.